A multi-disciplinary complementary health care practice so patients can access a wide profile of fully qualified, insured registered practitioners, working under one roof. All the practitioners are highly competent healthcare professionals, and fully qualified to diagnose and treat independently without the need for a referral from the GP. The practice is located in the heart of Melton Mowbray with easy access from shopping and parking facilities. Welcome to Church Street Practice, a multi-disciplinary clinic where independent registered practitioners are working under one roof. We offer a wide range of therapies covering mind and body and work to the highest standard of care. The practice is located in the heart of Melton Mowbray with easy access from shopping and parking facilities. 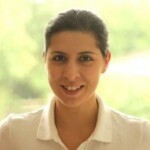 Clare founded Church Street Practice in 2006 after having been based in Melton for a while as an Osteopath. The idea was to establish a multi-disciplinary complementary health care practice so patients can access a wide profile of fully qualified, insured registered practitioners, working under one roof. All practitioners are committed to providing the highest possible standards of care within a relaxed, friendly clinical environment. The approach of the practice means the needs of the whole person: body, mind and emotions can be taken into account to encourage health on all levels. As well as receiving appropriate treatment patients are given tools, which enable them to make the necessary lifestyle changes to prevent the problem reoccurring and empowering them to take control of their own health and well-being. Osteopathy is an established system of diagnosis and manual treatment, recognised by the British Medical Association as a discrete clinical discipline. The patient is assessed by the whole body structure and how it performs from a mechanical, functional and postural standpoint and the treatment is adapted to suits the individuals needs. Osteopaths treat a wide variety of conditions from postural problems, pain from sports injuries but also looking at prevention of injuries, repetitive strain to postural changes during pregnancy. Osteopaths undertake a 4 year degree course involving thorough clinical training and are regulated by the General Osteopathic Council who maintain a Statutory Register of Osteopaths, allowing only those osteopaths meeting the highest standard of safety and competency to join. Firstly we take time taking a detail case history. This involves details about the current problem you’re coming in with as well as details about any past and previous problems. We also take a detail medical history to check any other associated symptoms and whether the person is suitable for treatment. On examination you will be asked to remove some appropriate items of clothing to allow the osteopath to fully assess the problem and other associate areas. If you feel uncomfortable with this we can normally work around it. We will take you through a series of simple movements and a system of diagnosis including any special tests to make a full diagnosis. The osteopath will then talk you through the problem and what will be involved with treatment. Treatment involves gentle manual techniques to work through any problems and assist the body to heal itself. The initial consultation lasts between 45 minutes to an hour and costs £45. Follow-up sessions cost £35 and last approximately 25-30 minutes. Typically two to six sessions are needed, though this varies depending on the problem. Most major health care insurers are accepted. If you would like to know more information or make an appointment please contact the registered Osteopath Clare Spencer on 01664 480568 or email clare@churchstreetpractice.com. Church Street Practice provides top quality foot care in a comfortable, relaxed setting. The full treatment, which takes only half an hour, includes cutting and treating difficult nails, removal of hard skin (callous), verrucae and corns, diabetic care, reflexology. general foot health advice and referral. Elaine Etherington, FSSCh DipPodMed MBChA, qualified in 1998 after time spent in banking and the travel industry. She is registered with The Health Professions Council (HCPC) which ensures she practises with a high level of care and keeps up to date with her skills and knowledge through Continual Professional Development. Elaine is also one of the founding members of Melton’s Community First Responder group. This was established in 2004 for volunteers to provide prompt lifesaving support for members of our community, while waiting for an ambulance to arrive. Needless to say this has included one or two of her own patients! Caireen Escott, a Foot Health Professional, joined the practice in 2006. When Caireen is not working in the busy clinic she is out and about providing home visits. These are a vital life line for our patients who are unable to travel to our town centre surgery. In the little spare time Caireen has she volunteers at the Fair Trading Post. Due to increased demand Clare Wass, also a Foot Health Professional, has recently joined us. From an administrative background Clare has embraced the world of podiatry and chiropody bringing her knowledge and enthusiasm with her. The ground floor clinic has wheelchair access and is open six days a week. Evening appointments, home visits and gift vouchers are available. To book an appointment at the surgery or a home visit telephone 01664 568068. Ariane Thompson is our registered acupuncturist and has practised acupuncture since 1998. She joined the practice in 2007. Acupuncture uses a number of fine needles inserted into the skin or muscle at certain points to restore good health and a balanced body. 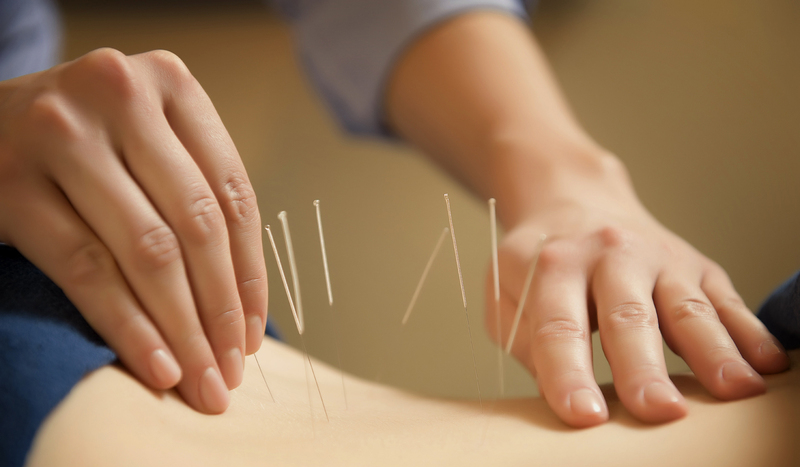 More research is needed and underway to validate acupuncture to the scientific community. In the meantime, it continues to be a successful complementary treatment to conventional medicine. A deep massage using different techniques to help correct soft tissue problems e.g. sprains, strains and limited movement around a joint. Sports massage can help prevent injury, or help the body heal after an injury has occurred. 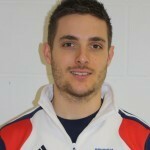 Sports massage is not just for sports people it can help any soft tissue problem such as tense neck and shoulders. Joan Carter is our Registered, Senior Accredited Psychotherapist (BACP). She has over 20 years experience working in the NHS and as an Independent Practitioner, covering a broad range of issues with individual adults and couples. Joan’s training and experience enables her to tailor the way she works to the needs of the individual. Joan has specialist trauma training as an EMDR Practitioner and her Integrative training enables her to offer a variety of approaches including Cognitive Behavioural Therapy. .
Joan works with: Anxiety and Panic Disorder, Depression, Stress, Post traumatic Stress Disorder, Anger Management, Bereavement and loss, Relationship issues, Psychosexual problems, Low Self Esteem and Confidence issues. Joan is also a Group Facilitator, Counsellor Trainer and Supervisor and provides Consultative Support to those in Pastoral Care Roles in Education, Health and Church Communities. My name is Amanda Williamson and I have been coaching and mentoring adults and children for more than ten years: – it’s my passion and my profession. I offer a person centred approach covering both personal and work related issues as the two are often interlinked. It’s vital that my clients are able to engage as fully in the process as possible and confidentiality is assured at all times. I began my career as a full time school teacher, and spent the first fifteen years dedicated to supporting children to fulfil their potential. I subsequently embarked on a career change and took the lead role in setting up and delivering an ESF award-winning project (Melton and Rutland Healthy Learning Project) offering coaching and mentoring at five local medical Practices to patients who were referred by their GPs and other health care professionals. Five years later, when the project came to a close, I realised this was the right time to set up my own business; I launched Spiral Life Coaching in 2007 and joined the team at the Church Street Practice in 2009. I now combine my work as Lecturer for Peterborough Regional College as well as my post as a part time Personal Development and Employability Tutor with the Rutland Adult Learning Service, with my freelance work as a Success Coach. European Social Fund Award: Best Individual in a Supporting Role. (IAB) Enterprise Awards – Short Listed Finalist – Ceremony held at the House of Commons in London. I’m a volunteer for the Friends of Chernobyl Charity and help out when children from Belarus visit the UK each summer. I have a lively and intelligent border terrier called Martha. I also enjoy home baking and being creative in as many ways as possible. Dr Alexandra Dent is a Registered and Chartered Clinical Psychologist working with children and adults (including couples and families) across the age span. She has over 16 years of working in the NHS and set up her own independent practice in 2013. She believes the key to effective change is accomplished through the therapeutic relationship and works tirelessly to empower individuals to learn coping and resource strategies which then enables them to work on any underlying issues. Alexandra is very experienced in working with a vast range of emotional and behavioural difficulties including anxiety, phobias, depression and self-harm, PTSD, abuse (sexual, emotional, physical and neglect), OCD, eating disorders, developmental difficulties, attachment and relationship difficulties. She uses an integrative approach to tailor therapeutic work to individual needs. She has developed particular expertise in working with trauma (specific life events) and attachment difficulties. She is an EMDR (Eye Movement Desensitisation and Reprocessing) Practitioner and is working towards Consultancy level, and she is also trained in Dyadic Developmental Psychotherapy (DDP) which is a powerful intervention for attachment difficulties. The thing that surprises most people new to Hypnotherapy is that it’s so relaxing and they are in total control at all times, as they determine the success of their own treatment; I am merely a facilitator in their therapy and the guide on their individual journey. Many of us are creatures of habit and tend to live our lives on auto pilot because that’s what we’ve always done and, quite frankly, for most people it’s comfortable. But deep down, are we always happy with that? Perhaps there’s something you think you should be doing better or looking at in a different way. Perhaps, without even knowing it, there’s an issue from your past that’s limiting your present and preventing you from moving forward. How many times do we make New Year resolutions to stop smoking, lose weight; to stop feeling so stressed all the time or to get help with physical or psychological pain that won’t go away but we still find that yet another year goes by and nothing has changed? The main thing that always holds us back is FEAR – principally fear of change. We believe that change can’t happen or it’s slow and painful and thus we imagine that change will be a frightening thing. So, if you’re serious about making a positive change in your life, then don’t hesitate. Hypnotherapy could be the perfect solution. All consultations are private and strictly confidential and I will do my utmost to help you move forward in the shortest time possible in order to change your life for the better. 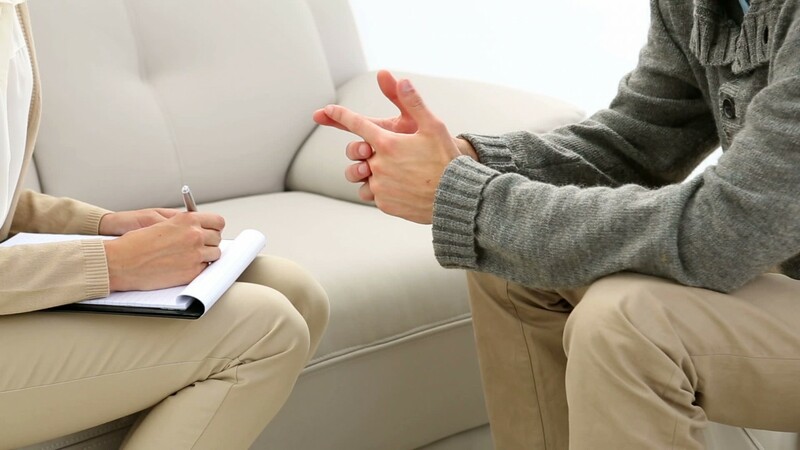 The Initial Consultation – I take detailed background information from you in order to tailor the therapy to your specific requirements and can last between 90 mins and 2 hours. It is included free in the first session and charged at the same Standard Session rate of £65. A Standard Session lasting between 50 mins and 1 hour is charged at £65. Quit Smoking is a single session therapy and charged at £145. In the highly unlikely event that a short “top up” session is required, then this will be available free of charge provided that it’s taken within one month of the original session. All printed materials, CD’s or Mp3’s provided by me as an aid to your therapy are included in the session price and supplied free of charge. Payment can be made by cash or cheque only (no credit or debit cards) and will be due at the beginning of the session prior to any treatment. Unfortunately, if payment is not possible at this point, then no treatment can be undertaken. Sheer bliss! Feet so much more comfy. I really look forward to my regular sessions.Shirley N.
As a busy pub landlord the well being of my feet is extremely important, being on them all day. The care and attention of the ladies at the Church Street Practice keeps me going. I wouldn’t consider going elsewhere!Mr B. This message will go to the Osteopathy department. This message will go to the Chiropody department. This message will go to the Acupuncture department. This message will go to the Sports Therapy department. This message will go to the Psychological Therapy department. This message will go to the Life Coaching department. This message will go to the Clinical Psychology department. This message will go to the Hypnotherapy department. Copyright 2015 Church Street Practice. Website Built by Mark1 IT Solutions.